Home » Primerica – CatDV’s ability to handle varied media types is crucial for Primerica. Primerica utilizes CatDV to easily manage a wide variety of media while increasing productivity. 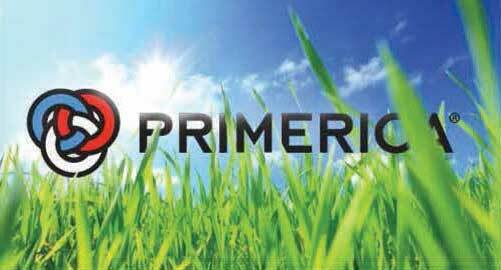 Primerica is the largest independent financial services marketing company in North America. With a 34-year proven track record, two million investment clients with $35 billion in assets under management and responsible for the life insurance of more than 4.3 million citizens, it is a giant in the industry. Tim Foster, Art Director and the company’s media expert, explains how they organize the production of vital training videos and podcasts which are a key device used by clients of the company, typically members of the public, to learn about managing finances, buying life insurance and successfully running many other aspects of their personal financial life. Primerica produces all video material in house using a combination of PC and Mac platforms across five edit suites. Currently, 18 operators produce in excess of 80,000 clips of video each year, all of which have to be indexed and stored. Growth at present is rapid, with over 100 TB of storage in use and the company expecting storage requirements to grow at a rate of 100 TB a year in the near term. With the studio focused on training and educational videos, the majority of projects undertaken are short form, with a maximum length likely to be around one hour. Productions will mix graphics and limited special effects, but may need to be highly polished, depending upon the channel on which they are to be aired. Primerica switched to CatDV around 18 months ago, following a strong recommendation from the team working with Nascar who also use CatDV. Tim explains that his studio considered other solutions, but ultimately chose CatDV due to its ability to handle multiple file formats and accommodate new and often non-compatible file types. Installation was described as painless, with good support available from CatDV, but ultimately not needed, as the team at Primerica were sufficiently skilled to manage a self-install.The benefits have been instant and considerable. Put simply, Primerica used to have to physically log and tag newly shot footage that came in from various shoots in a range of formats. Videos were then placed in storage, but access to content was entirely dependent upon the quality of the logging of the video contents if, for example, a specific location or shot was required. The whole process was time consuming and meant that highly skilled editors were spending a considerable amount of time either logging content or searching for it. With CatDV, new material is submitted via the company’s portal for instant digital storage, with content accurately identified and indexed for easy access. One of the biggest and most measurable benefits CatDV has brought to Primerica is that skilled resources can now spend their time doing the job they are paid to do, ( i.e. produce important training and educational video clips for customers of the business, rather than waste hours on unproductive and lengthy administrative procedures). CatDV is now widely used within the company and having proved its worth, the plan now is to integrate all other areas of the business that use and work with video on the platform. This will result in a four-fold increase in user numbers, with access to the CatDV resource spread across multiple departments.